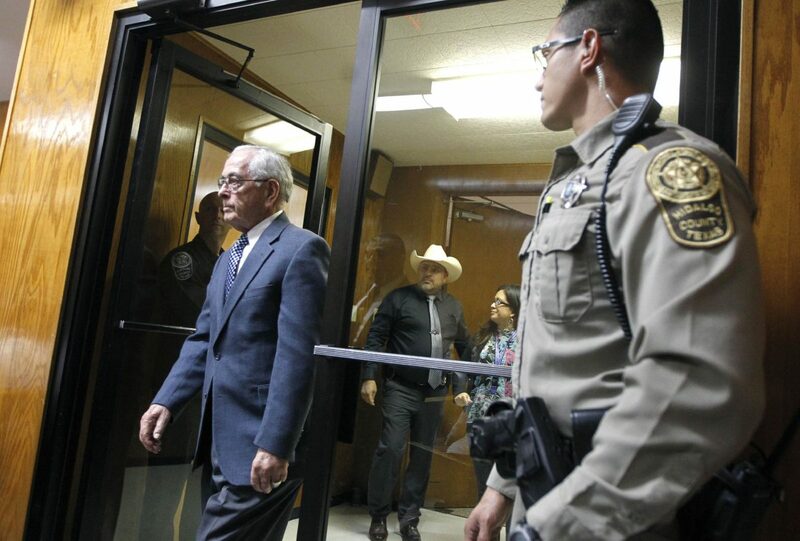 Former monk Dale Tacheny walks into the courtroom Monday in Edinburg. He's expected to testify that John Feit confessed to murder in the 1960s. The third day of the John Feit murder trial wrapped with Dale Tacheny leaving the stand after becoming emotional at one point. Dale Tacheny waits outside the courtroom Monday in Edinburg. McAllen Police Chief Victor Rodriguez testifies in John Bernard Feit's trial for the murder of Irene Garza Monday, Dec. 4, 2017, at the Hidalgo County Courthouse in Edinburg. The former monk who testified that Feit confessed to murder during the 1960s gave a tearful response when asked why we was so adament about identifying the woman he claims Feit confessed to killing. “She had parents,” Tacheny said. We are breaking for the day. Be back tomorrow morning at 9 a.m.
Dale Tacheny, the former monk who claims that John Feit confessed to murder in the 1960s, has been called to the stand to testify. The state called its second witness of the day, Texas Ranger Nathan Mutz, following McAllen Police Chief Victor Rodriguez’s testimony in the John Feit murder trial. Mutz provided a virtual tour based on scans he made of the several crime scenes, including the rectory and the church, to name a few. Detective George Saidler, a now retired San Antonio police detective, was also called to discuss a call he received from Dale Tacheny. Tacheny, the former monk who claims Feit confessed to him in 1963, is also expected to take the stand today. He will testify about what Feit told him during a counseling session at the monastery in Missouri in 1963. This is where Feit was moved shortly after his time in Texas. 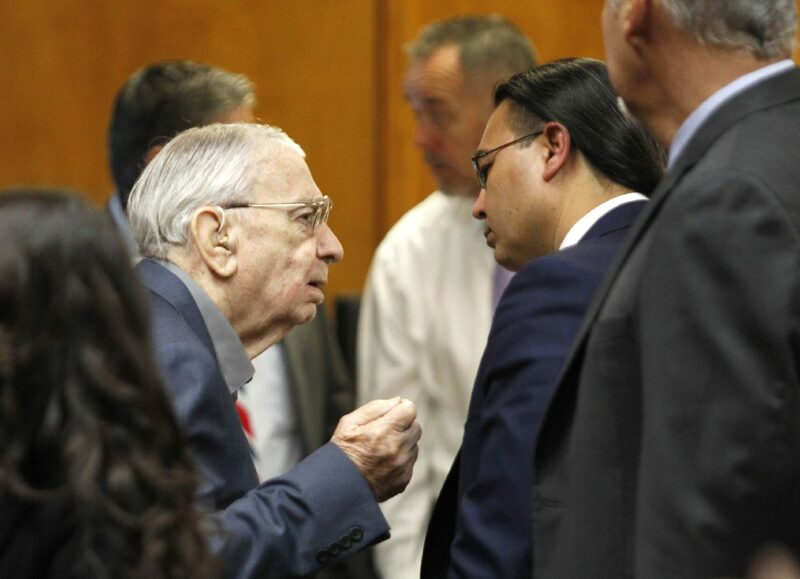 McAllen Police Chief Victor Rodriguez continued on the stand in the John Feit murder trial. The defense peppered Rodriguez with questions about any evidence affirmatively linking Feit. The chief said that a viewfinder, which Feit later claimed as his own, was found at the canal near where Irene Garza’s body was pulled. Rodriguez said the viewfinder is a link to Feit. Rodriguez will remain on the stand after the lunch break. The state began the third day of testimony in the John Feit murder trial by calling McAllen Police Chief Victor Rodriguez to the stand. Rodriguez was chief of the department when the case was reopened in 2002. The chief testified about two statements Feit gave to police in the subsequent months after Irene Garza’s body was recovered from a canal on April 21, 1960. Feit’s statements, given in May and then again in June, is the ex-priest’s recounting of his whereabouts the night the victim went missing. Feit claims, despite testimony to the contrary, that the Saturday before Easter Sunday was the first time he had ever seen Garza. The testimony from Garza’s good friend Ana Hollingsworth Friday claims Feit and the victim had met before. Garza told Hollingsworth a young priest pulled her out of confession and moved her to the rectory, according to the latter’s testimony, which further noted that Garza seemed conflicted about this days before her disappearance. Feit, who claims in his statements to not knowing Garza before this night, said he broke his glasses that night and had to go to the shrine in San Juan where he could fix them. This is where Feit said he hurt his hand attempting to climb a wall after realizing he didn’t have a key to get into the shrine. Witnesses claim Feit was seen with scratches on his right hand late Saturday night. Rodriguez testified that he found these statements unusual. Day 3 of testimony in the John Feit murder trial begins today. 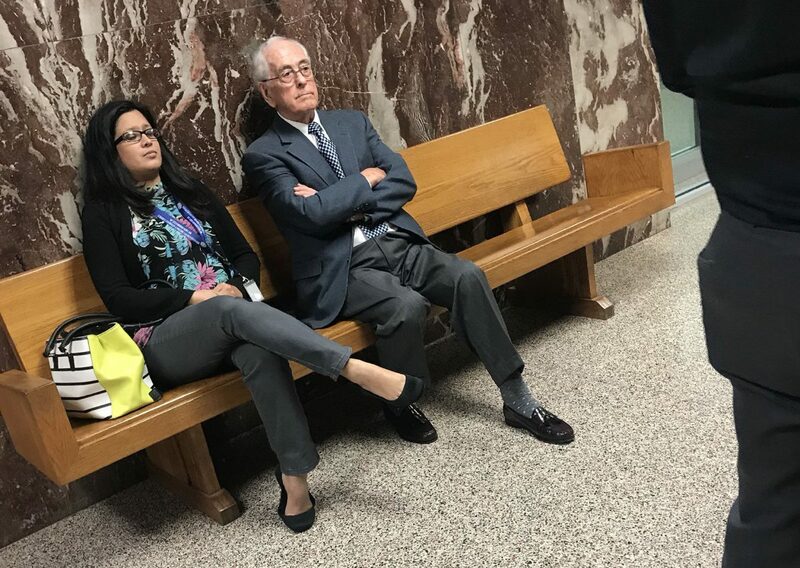 Feit, 85, is on trial for allegedly murdering schoolteacher Irene Garza in April 1960, when he served as a visiting priest. >> Attorney and former TV reporter Darrell Davis testified that then-Hidalgo County District Attorney Robert Lattimore told several media members during an off-the-record meeting of a brokered deal between his office and local Catholic church officials. The deal involved sending Feit “away forever” in exchange for him pleading no contest to an aggravated assault charge in connection with a March 1960 attack on America Guerra at Sacred Heart Church in Edinburg three weeks before Garza went missing. >> On the second day of testimony, the state called two women who had encounters with Feit. One woman said Feit propositioned her in downtown McAllen asking to take a picture of her next to the cemetery. The other woman, Maria Cavazos Hollingsworth, recounted a house visit Garza made days before she went missing. 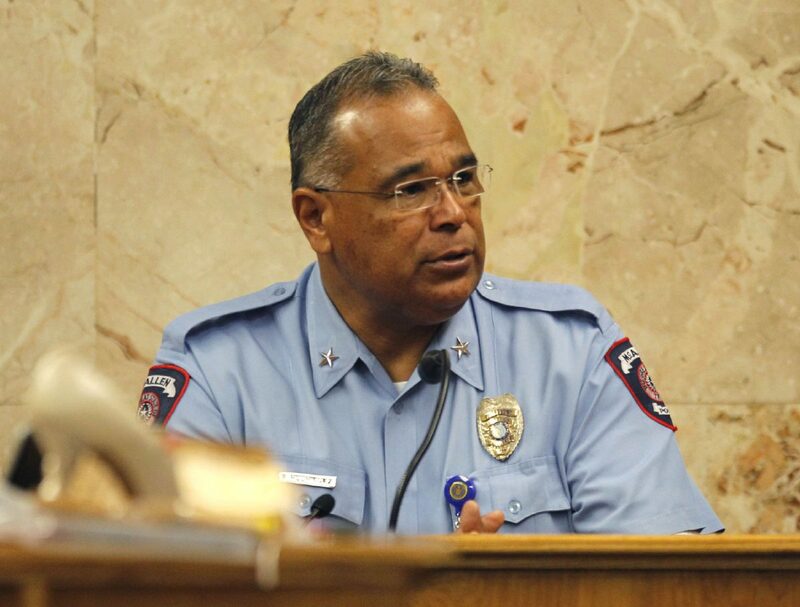 Expected to testify today is current McAllen Police Chief Victor Rodriguez, who was part of solving the cold case when it was reopened in the early 2000s. Also expected to take the stand is a Department of Public Safety official who is expected to walk the jurors through a virtual tour of McAllen’s Sacred Heart Church and possibly the rectory.